World of Warcraft: Rise of the Horde is a novel written by Christie Golden, which serves as an introduction to the origin of the Draenei and a prologue to the World of Warcraft: The Burning Crusade expansion (MMORPG). Christie Golden is a veteran novel writer of Star Trek: Voyager, Ravenloft: Vampire of the Mists, Warcraft: Lord of the Clans, Invasion America, and A.D.999 among other works. 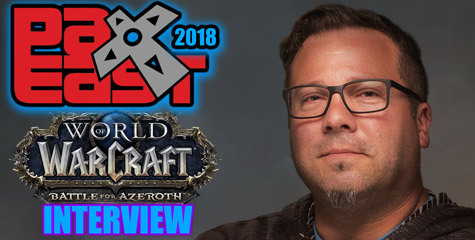 Chris Metzen revealed at BlizzCon 2005 that you would be writing World of Warcraft: Rise of the Horde. The book would feature the story of the revealed new Wow race: the Draenei. However, the book title is Rise of the Horde. What is the plot of World of Warcraft: Rise of the Horde and from whose main character’s point of view is the story told? Christie: The reason we went with that title is that’s truly what the book is about, the tale of how the original Horde came into existence. And the draenei, as the story shows, were the primary reason. The Horde was created by Kil’jaeden to be used as a weapon against the draenei, who in this book are revealed to be uncorrupted eredar. The basic storyline is that of how the orcs went from being essentially peaceable people in harmony with their world to demonically tainted beings capable of genocide. Our main point of view character is Durotan, Thrall’s father. This story fascinated me because in recent history, we have seen repeatedly how good people end up doing horrific things to other human beings. How does that happen? What steps have to occur in order for people to forsake their morals?or, rather, rewrite them so completely? Durotan is “Everyman someone who sees what’s going on, but is torn between standing up and fighting it and doing what will protect people he is responsible for. He’s a great point of view character in that respect. What characters are featured in the book? Christie: Ha, you name it! This is the fantasy equivalent of writing a historical novel. Durotan as I have said is the point of view character for most of the book. We also see Orgrim, Blackhand (and his kids, whom I loved portraying as teenage thugs), Ner’zhul, Drek’Thar, Gul’dan, and many others who are familiar names. In the beginning of the book you mention playing on an RP server. I assume you play Horde there? If so, what have you enjoyed playing the most on a role-playing server? Christie: Very few people know who I am there (as of this writing anyway!) and that gives me a wonderful freedom to just play and make friends and do role-play just as “myself” without the encumbrance of “ZOMG you’re Christie Golden!” out there. In the end, I am as big a fan as anyone, and I love the friends I have made and the stories I’ve been involved in. People are so very, very creative! As for what I play, I play both factions and enjoy them equally. I’ve played every single class one time or another. I’ve played orc, troll, tauren, human, night elf and gnome. Can’t wait to play blood elf and, of course, a draenei! Christie: I think it would have helped more if the novel had been set in present day Azeroth. Knowing things like how far away Ratchet is from Stormwind is invaluable in making a place feel “right” to someone who knows the game well. What it did do was let me play with the orcs as characters, and nail down how certain spells looked. For instance, I would have had a harder time describing shaman and warlock spells had I not known how they “looked” to an observer. I will mention some locations from World of Warcraft: Burning Crusade: Terokkar Forest, Hellfire Peninsula, Nagrand, Zangarmarsh, Blade’s Edge Mountains, Netherstorm, Shattrath City, Shadowmoon Valley. Which are mentioned in the book? Christie: They’re all mentioned. Terokkar Forest, Hellfire Peninsula, Nagrand and Shattrath get a bit more “air time” as it were. What races will be featured in the book beside orcs and draenei? Christie: We’ll see ogres and their really nasty masters, the Gronn, as well as a variety of demons. But primarily, this is a tale of two races. Christie: I’m glad you liked the book, and I do think this one will feel much richer. When I wrote LORD OF THE CLANS I did not have the advantage of the deep familiarity I now have with the world, and as you mentioned, six weeks is a pretty short time to write an entire novel. Of course I needed to stick to the history Blizzard gave me, and I wanted the orcs to feel real to people who already knew (and played) them. But I had a wonderful opportunity to create some lore of my own, as well as creatures, as well as the chance to really flesh out Durotan, Velen, and even Kil’jaeden. I think you’ll find it’s a richer reading experience because of that. Christie: Pretty deep! I was able to create many rituals and clan structure on my own, and the draenei were still very “new” at this point. Christie: I’ve always enjoyed writing about Orgrim, and it was wonderful to get to establish both him and Durotan as youngsters. Chapter One details how they meet, and the novel follows their friendship even as their destinies take them on seemingly different paths. We’ll also learn about the prophecy of the Doomhammer. Christie: Oooh, I think I’ll need a “spoiler” warning on this one if I’m to talk about it? I loved showing Durotan and Orgrim as “kids.” I loved the scene where Orgrim, Durotan and Velen are at dinner together. I loved the conflict between the older Durotan and Velen. I loved Mother Kashur, and the spirits of Oshu’gun. I loved being able to make things a little grayer and less black and white when it came to Ner’zhul. I loved revisiting Drek’Thar as a young, keen-sighted, intense young man who is not as wise as he later becomes. I loved the cameos of Rend and Maim as sneering punk kids. And I think most of all, I loved the storming of Telmor, because it was painful to write, and such things should never be easy. Do we get to witness Grom Hellscream become the first orc to drink Mannoroth’s blood? This is an event many fans wish to read about since he was the first orc to drink it and the liberator of the race by slaying Mannoroth in Warcraft III: Reign of Chaos. His sacrifice meant redemption for himself and his race. Christie: Yes indeed. Another scene that was really fun to write, and also a big responsibility, since is such a pivotal moment in the history of the orcs. I hope it’s disturbing enough for you all! Do we get to read about the first contact between Medivh and Gul’dan, or the creation of the Dark Portal? Christie: Yes, you’ll see all of that! I have played World of Warcraft: Burning Crusade closed beta for three months and I have heard – from people that already has read your book – that many quests in the MMORPG have close ties to the events in your book. What can you tell us about the Draenei crystals, what is their importance, and can you please share the name of each crystal?I know we get one from Nexus-Prince Haramad to deliver to A’dal; and Akama in the Warden’s Cage (Shadowmoon Valley) leads us to another crystal held by Shadowlord Deathwall at the Atamal Terrace in Ruins of Karabor (Black Temple). 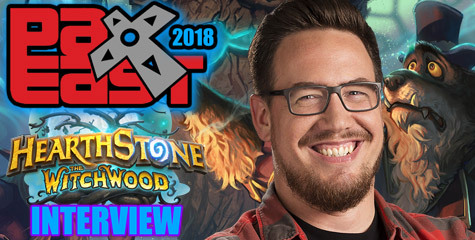 Christie: One of the really remarkable and wonderful things about this whole experience is that Blizzard is a company that doesn’t just look at things from one direction. Usually, when an author does a tie-in novel such as RISE OF THE HORDE, things all go one way?from the original creation (the game) to the novel. Seldom if ever does anything that is mentioned in a media tie-in novel make it into the game/TV show/etc. Usually such novels aren’t even considered “canon.” Not only is my work canon, but characters I have created (such as Taretha) are showing up in the game as a solid part of the history. On our previous interview, you mentioned to have written Lord of the Clans in 6 weeks. How much time did you have now to write Rise of the Horde? Christie: I had four months total. MUCH more time, and I’m glad to have had it as this is a much more epic storyline. LORD OF THE CLANS focused on one person, Thrall; this is a story of how an entire people became corrupted and lost. Christie: Mainly Chris Metzen, though I do have the Player’s Guide and used it as a reference as well. Because the expansion was in actual development at this time, his was the final word. Any anecdotes with communication between you, Chris Metzen and/or other Blizzard developers during the writing of Rise of the Horde? Christie: As I mentioned, I had the chance to meet Chris and other members of his team for a tour of Blizzard HQ a few months ago. When you enter the lobby, you are greeted by the statue of Illidan that was at E3. WOW is that thing huge and intimidating! It was wonderful to meet some of the artists and lore masters and designers as well as catch a glimpse of a few things that are coming. My husband and I were the first non-employees to see the cinematic trailer for the expansion, so we knew you were all in for a treat! I think the most fun was going out to lunch and just jamming for a bit. My husband and I are avid RPers and we were able to let Chris and the others know how RPers were really making good use of the world. RPers are a minority of course, so it was nice to be able to be their “reps”. One thing I requested if they could manage it was more character slots, because you see, we need those extra alts to help move our stories along? *coughs* We’ll have to see if we get more slots in the expansion. I left with some cool Blizzard goodies, including the Burning Crusade mousepad of Outland from Chris’s own desk. That was a highlight of a business relationship that?well?is pretty much composed of highlights. Christie: Thank you, I would to! I hope it comes to pass. We have mentioned such things and it will depend on where they want to take the novels and also my own schedule. But I am keeping my fingers crossed, because this has been an amazing experience. 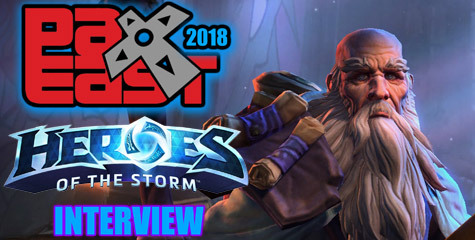 Why should fans read Rise of the Horde and play Burning Crusade expansion? I think it will add a layer of richness to the gaming experience. I know that some are uneasy about the draenei’s role in the world, this might make it make a bit more sense. There’s also a lot of stuff there for RPing, ideas for rituals that could be part of your characters background or the basis for an RP event. Mostly, though, because I think readers will enjoy it! How are doing your Final Dance Series and the reprint of your 1991 book, Vampire of the Mists? By the way, I love the bookcovers of Final Dance. Christie: Yes, I love the covers for all of these. Vampire of the Mists is doing very well. Of all the books I’ve written, I think that is my most beloved with readers. It’s wonderful that it’s back in print for diehard fans to have a new copy and for new readers to meet Jander. And I’m indirectly responsible for the elven vampires you see playing in WoW, as Jander Sunstar was the first elven vampire ever. I really believe that that archetype will be my writing legacy, and I think it’s a pretty good one. The “Final Dance” series, ON FIRE’S WINGS and IN STONE’S CLASP, have hit a bit of a snag. I’m waiting to hear from the publisher if they plan to continue the series. I certainly hope so, I don’t want to leave readers hanging! A lot of people who have read my Warcraft and Ravenloft novels have read this series and enjoyed it. There are excerpts on my website if anyone’s curious. Will any of your previous books make it into Film / TV? If not, which book(s) you dream could make it to the big screen someday? – take notes Film Directors. Christie: So far nothing’s been optioned, but never say never, right? I think ON FIRE’S WINGS would make a great movie personally, or Vampire. And since a Warcraft movie is underway I think they’ll be doing a brand new story for that, but obviously a Warcraft movie would totally rock! I actually do have a couple of ideas for screenplays, we’ll see what happens with that. If you had anything to tell Chris Metzen and Blizzard from the bottom of your heart, what would that message be? Thanks once more for sharing some time out of your busy schedule to address your fans. The community appreciates you. Hope to meet you soon for the follow up on Starcraft: Dark Templar Trilogy, book one: Firstborn. Thanks to Blizzard and Simon & Schuster Pocketbooks for the wide and warm support over the years, and for choosing the best writers to expand the Warcraft universe. Post a Comment at the Warcraft Lore forum.